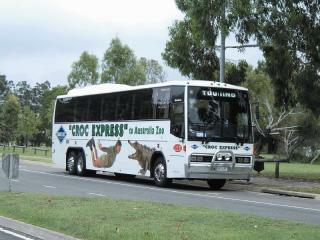 A full day tour taking you directly to and from Australia Zoo, this living legacy to the world famous Crocodile Hunter, Steve Irwin, is a must see wildlife adventure. There are a wide range of shows and displays throughout the day including the Crocoseum where you will witness wild crocodile feeding as well as the Tiger Temple. Ideal for those wanting to enjoy a more relaxed pace, this Eco River Cruise glides through the pristine waters of the Noosa Everglades showcasing the region's spectacular landscapes and wildlife. 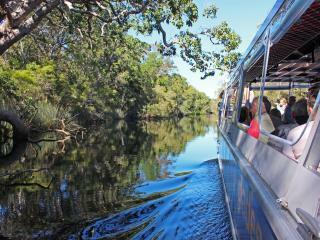 There is an option to really experience the natural beauty of the Noosa Everglades and paddle a canoe up stream. Re-join your tour group for a guided board walk, roast lunch at Habitat Noosa, there is also plenty of free time for you to enjoy a swim, take photographs or just relax and soak in the serenity. 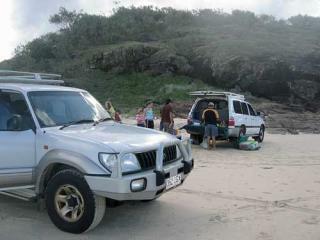 A fantastic introduction to the world's largest sand island, this Fraser Island 4WD tour heads north toward Rainbow Beach, so named for its coloured sands. Enjoy views of the Glasshouse Mountains as you ride the ferry over to the island. 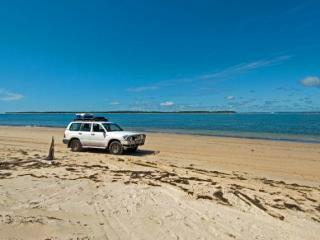 Spot dolphins, turtles, whales and the island's famous dingoes as you 4WD the 75 miles of surf beach across the island. Experience a deeper exploration of the iconic Fraser Island with this 2 day tour which includes overnight accommodation at Eurong Beach Resort or an eco-friendly campsite. Discover the crystal waters of Central Station and Wangoolba Creek, trek to Eli Creek, Indian Head and Cathedral Beach in a 4WD and experience Lake Wabby, Fraser Island's deepest lake. 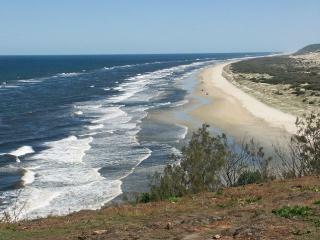 Departing Brisbane and Noosa, this 3 day tour heads north to the coloured sands of Rainbow Beach before ferrying you to Fraser Island and the stunning stretch of 75 Mile Beach. From there you'll head further north to stunning Indian Head and its lookout where you'll have the chance to spot dolphins, whales, turtles and even sharks before returning to Kingfisher Bay Eco Resort and its great range of facilities. 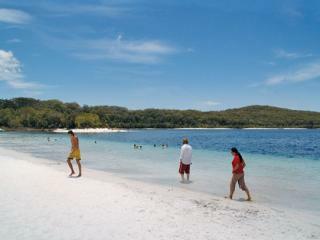 Perfect for a short visit to Fraser Island, this day tour is available to small groups of up to 20 per vehicle and showcases highlights such as spectacular pristine beaches, the coloured sands of Rainbow Beach, Lake McKenzie, unique lush rainforests and Central Station.